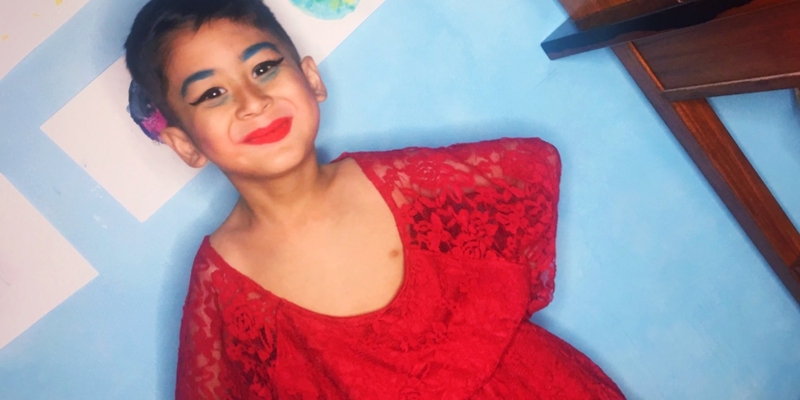 After watching RuPaul’s Drag Race, Mikli Feria Jorge’s son asked to become a drag queen like the queens on the screen. “I want to do that also,” he told her. So the amazing mom helped her son make his dream come true. She put on make-up, added eyelashes and made a dress. Luckily for us, she documented the adorable process all on her Twitter, and her tweets have now gone viral with more than 3,000 retweets! Jorge explains her son’s drag name is Ballooni Liteg, where the “e” and “g” are both silent. She also donned a drag look herself, and was named Cat Astrf by her son. Earlier this year, a video went viral when Bianca Del Rio brought a little boy in drag up on stage during a show. The boy’s drag name was Lataysha, and the fan was serving a look that proves she may be fit for RuPaul’s Drag Race season 18. When Del Rio asked who Lataysha’s favorite Ru girl was, you would think she would answer, “Bianca Del Rio.” Not this queen. She responded, “Ginger Minj,” in true shady defiance and the crowd went wild. Another infamous child drag queen is New York City’s Desmond, who famously slayed the runway during NYC Pride 2015. 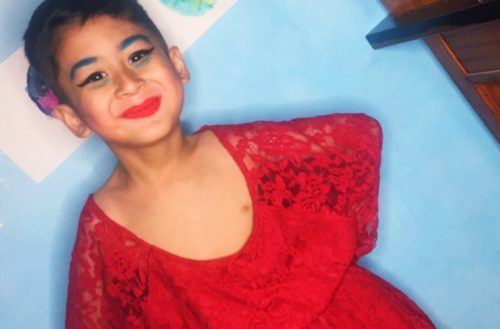 We love that RuPaul’s Drag Race is inspiring children to play with gender and experiment with drag. With all this kiddy creativity, uniqueness, nerve and talent… what’s next? RuPaul’s Drag Race Junior sounds like a fantastic idea to us.